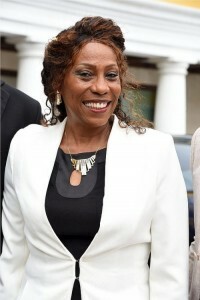 WILLEMSTAD – The new Minister of Education, Science, Culture and Sport, Mrs. Maurina Esprit-Maduro said, during her inauguration, that her work as Minister has already begun. She was already preparing and started moving immediately. “Education is an extensive field. I just had to pick up and continue,” said the new Minister. Minister Esprit-Maduro thanked the former government for all they did and said that she will continue working towards excellence. The Ministry of Education is now under the responsibility of the independent Member of Parliament Gassan Dannawi who appointed Minister Esprit-Maduro to lead. Dannawi is convinced that Minister Esprit-Maduro will create with her team the beginning of real positive change that is needed in education, science, culture and sport which is beneficial for the community.